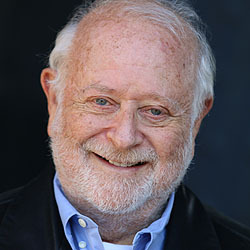 Jonathan Lynn has directed 10 feature films including the cult classic Clue (he also wrote the screenplay), Nuns on the Run (also written by Mr Lynn), My Cousin Vinny, The Distinguished Gentleman, Sgt. Bilko, Greedy, Trial And Error, The Whole Nine Yards, The Fighting Temptations and Wild Target. His first produced screenplay was The Internecine Project (1974). For television, Jonathan’s writing credits include dozens of episodes of various comedy series but he is best known for the phenomenally successful, multi-award-winning BBC series Yes Minister and Yes, Prime Minister, co- written and created with Antony Jay. Most recently in London he directed two plays he wrote: Yes Prime Minister at The Gielgud and then The Apollo, and The Patriotic Traitor at The Park. His numerous awards include the BAFTA Writers Award, Writers Guild (twice), Broadcasting Press Guild (twice), NAACP Image Award, Environmental Media Award, Ace Award –Best Comedy Series on US cable, and a Special award from the Campaign For Freedom of Information. Lynn received an MA in Law from Cambridge University and now lives in New York, describing himself as a recovering lawyer. Just had a phone conversation with my Talent Campus mentor, and he's given me such brilliant insight into my project!